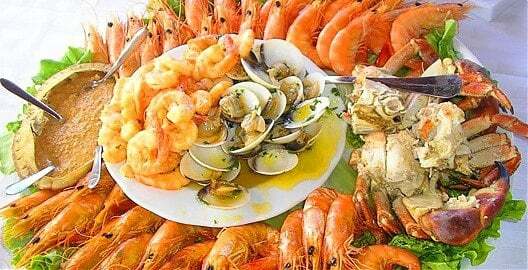 The 2017 edition of the Olhão Seafood Festival promises six days of delicious local seafood and plenty of entertainment. The festival runs from August 10th to 15th and, this year, it aims to attract whole families with its special prices. There will, of course, be a wide variety of seafood cooked and presented in traditional style, plus regional sweets, handicrafts and excellent shows. Adults, 10th and 15th - €9 / €6 on all other days. *Except for 10th and 15th August when the entry fee for seven to twelve year olds will be €4.50. Make a saving with a Festival Ticket, which gives you entry to the festival every day. Tickets can be purchased at the ticket offices at the Festival ground. Tickets are also available via the Ticketline network.